As we move towards a final release date this week, I am reminded about one of the difficulties in trying to prepare a Thanksgiving dinner. Trying to prepare a dozen different dishes with four elements and one oven can be an ordeal: you try to keep certain cooked things hot while hoping that the turkey gets done at the same time. No matter how well you plan the meal, something always gets a little under or over cooked. We are trying to introduce a whole slew of changes, within a few months of taking over the reins of the Lasso product line. I can't promise every dish, on it's own, will be perfect. But I do certainly have the goal that the overall meal will leave you with a sense of relief and satisfaction. If the carrots are a little undercooked, so be it, we'll put them back in the pot for when you go for second helpings. However, there is another major change in the upcoming week, and here is the transparency post about it (as promised in my last post). This is without a doubt the most exciting and most positive big change coming down the Lasso pike, and I wanted you to read it here first and have a chance to give feedback before it goes to press. There are lots of new things, I am just trying want to cut out the "surprises" to save anyone unnecessary stress. You don't need to be a CLD to develop using the Lasso language. It does, however, provide a nice buzzword for your website, Facebook page, CV or a memo to your upper management. Basic testing is required for membership. A simple standardized and randomized online test has been conceived and can be run which allows developers to show their stuff in a little as 15 minutes. Developers who have gone through the base tutorials or have previous knowledge of a middleware web language and a general understanding of the syntax of Lasso will pass easily. The intent of this testing is to ensure that individuals who are interested in becoming CLDs have a working knowledge of Lasso and can maintain a base-level signal-to-noise ratio (especially as it relates to security) which can be recognized within the community. As we trumpet the word of Lasso to the world, and do everything possible to drag on new students and tire-kickers, this allows us to identify the Lasso developers with a modicum of experience as the baseline for driving the machine forward in the correct direction. The test carries with it a small cost ($99), which is effectively to cover the shipping and handling of some quality CLD shwag (a t-shirt and a mug, to start). Think of it as a very expensive mug, which can be used for various caffeinated beverages or a small desk plant, and as your piece of the cornerstone that is the new LassoSoft. We plan to offer advanced testing in the future, as time permits. We don't even know what this looks like yet (though we have some interesting ideas). For now, there is only one, simple test. It's not scary. We have though long and hard about what is most important to the average developer. These ideas have been passed by dozens of developers over the last few months - hopefully they resonate with you as well. 1) Roadmap Voting: The most important benefit of the CLD is the right to vote on the next strategic initiative upon which the LassoSoft R&D machine assigns it's primary resources. Each CLD can assign said voting privilege to higher-level objectives on the LassoSoft website (for example, "Adding Solaris Support", or "Build better syntax colouring for BBEdit"). The initiative with the highest vote becomes the next objective worked on by LassoSoft R&D. This ensures that the community has power to control the direction of the R&D machine to best suit the greatest good of the community. At minimum, all CLD membership income is directed into initiatives voted on by the CLD members. The more members, the more the resources which are explicitly assigned immediately to community-preferred goals. 2) Free Licences: CLDs receive a fully functional 3-instance version of Lasso (giving it the ability to run 8.x and 9 on their own machine or on a separate machine depending on their development preference). This license is not intended for commercial use, as the license key is attached to the developer, not the company for whom the developer works. (i.e. should the developer leave the company, the license moves with them). *It is a leased license (as membership is monthly). Don't panic. If you mistakenly let your membership lapse (like if your partner runs riot with your credit card), Lasso still keeps running - it goes into soft expiry limiting admin until it is made current again. 3) First Access to Lasso work: LassoSoft is regularly contacted by individuals looking for developers to help them with specific projects. It is the intent of LassoSoft to stimulate development work in the Lasso world and thus drive work towards interested developers as much as possible. This community strength also minimizes "Getting hit by a Bus" syndrome issues within the community. 4) Website Listing v1.0: A detailed biography of the developer will be available on a searchable listing on the LassoSoft website. This biography also shows statistics on community involvement and interesting information about the developer. Once a meaningful threshold of developers have joined, LassoSoft will employ various technologies (geo-targeting, for example) to help connect companies needing development and CLDs as effectively and swiftly as possible. - Project Showcase: Showcase projects worked on on the website for higher optics and appearance. - RoapMap Suggestions: CLDs have the ability to suggest new initiatives for LassoSoft for voting. - CLD Designation: Advertise your CLD status in marketing materials and on your resume to increase client confidence. - Shwag - A Mug, and a Shirt: If you pass the test, you get a kewl mug and a kewl shirt, or the equivalent. This membership should create a foundation of core developers who, through micro-donations in the form of membership revenue, keep the development engine moving forward into the future. Having been formally tested and with open statistics showing community involvement, developers with CLD status will be much more visible and accessible to the world. These components are critical performance indicators which can help end clients find the right level of developer for their needs. It has been noted by one person that this membership is similar to a gym membership, only you aren't suckered in - you can leave any time. You can flex the strength of your Lasso voting right instead of your big muscles and ensure we go the right direction. The first 100 developers to pass the CLD test and maintain their membership will receive a specially annotated badge indicating their willingness to get involved early and help the machine into the future. Once this number has been reached, these badges will no longer be available for the history of LassoSoft. "First 100" shwag will not be available through the online store or other mechanisms, ever. It's only available for the first-comers. As the number of developers who sign up early will help us quickly understand LassoSoft's financial future, it will help us make decisions on how many additional resources we can apply to Lasso products in general and thus we can better give feedback to the community on timing for project completion. *The first 100 Certified Developers to pass the CLD test will have a one-time unique "Recognized First 100" CLD designation badge which they may use for the life of the their membership. As readers may or may not realize immediately, the effects of this CLD membership are dramatic, once people get involved. To start, anyone with a gripe or a passion for a particular piece of new functionality can actively sign up and make their opinion count through a vote. Their voices will have effect. As CLD members direct the innovation of the LassoSoft team through a democratic process to a level of their membership revenue*, this also keeps LassoSoft honest to the community needs as opposed to being myopically focusing on the Next Big Thing and the guilty pleasure of a revenue spike. Initiatives can be anything from a specific bug fix in Lasso 3.6 to the writing of Lasso 10. There is more complexity to the voting system, but a secondary benefit is this: each Roadmap initiative has an expected time-to-complete assigned. Lining up all of the initiatives together and adding up all of the timelines shows the world when they can expect a particular initiative to be completed (roughly). This further helps developers plan their projects and understand better the context within which development happens. In addition, the membership listing provides a safety net for clients who are worried about not finding a developer in their time of need or if theirs gets hit by a bus. We can point them towards the listing and drive more business amongst ourselves. I firmly believe that this is the keystone of the New World Order which will provide a critical backbone for our community. In fact, hopefully one day this post will go down in history as the instant Lasso turned back towards success. (I hope I don't have any spelling mistakes). I will tell you this one, why not (It's not likely to change). I look forward to more feedback! The Lasso developer part of my business just had a "you need to learn PHP" conversation with a major client this week. While I understand their need to have portable "anybody can work on it" code that could be thrown up on RackSpace w/o any extra licensing, it really puts me in a bind. I need some ammunition to support sticking with Lasso. I don't have much desire to learn yet another programming language as I feel I'll just end up being mediocre at everything instead of specializing in one language. I've been through this before (Perl -> PL/SQL, NetCloak -> Lasso), but have been working with Lasso the longest and would like to continue. The "hit by a bus" scenario was also discussed as PHP developers are everywhere, but good luck finding a Lasso Developer. 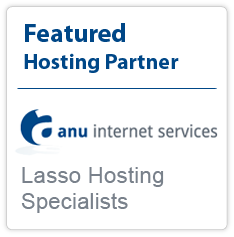 As for hosting options, I know that others have installed Lasso in the RackSpace environment. It would be nice to just have a "checkbox" option at RackSpace for "Lasso" just as you would with MySQL or other technologies. If you could work with RackSpace to get this accomplished, it would be extremely helpful and provide my client with the kind of "options" they are looking for. BTW, I'm not an advocate for RackSpace over any other "cloud based" hosting solution, it's just the one my client is particularly focused on (even though my business also provides Lasso hosting). The Lasso hosting side of my business used to receive regular inquiries in the past but nothing in recent months. 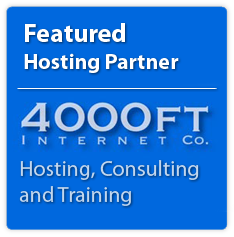 It seems to coincide with the disappearance of the developer and hosting provider sections on the LassoSoft website. This disappearance has hurt my business and our community. If clients cannot find a good directory of Lasso developers and hosting providers they will just turn to PHP (and they are). The CLD program is long overdue. Although I agree that some kind of proficiency test is necessary, please be as inclusive as possible -- a directory with only a handful of developers would be worse than no directory. We need a critical mass of developers and hosting providers to show the world how alive the Lasso community is. The CLD program seems more geared for independent developers, our company has multiple lasso devs that work on in-house products and the CLD won't inspire either the dev to signup nor the company to sponsor them since there isn't really an advantage for either (apart from the shwag ;) ). If LassoSoft were to set up a program whereby the company would receive benefits, such as discounts on lasso licenses depending on how many CLDs they employ, there would be a higher demand for the CLD program (at least in our case). This is similar to what cisco does... the more ccna/ccnp/ccie/etc that a company employs the higher the discount they receive on cisco equipment. So can we see the tshirt? Past designs have been less than stellar. Looks very promising! I would also like to see the monthly fee lower as more CLDs join. More information regarding the free 3-instance license would also be helpful. I, like Deco, don't see the point of a free non-commercial license unless the individual is in education. Interesting concept. Will the $49/mo lower as the number of CLD's raises? This would motivate current CLDs to attract more new CLDs which would then lower the monthly rate and benefit everyone. It will be interesting to compare the pricing and benefits against other licenses when announced. The developer listing is a very welcome addition, and provides the greatest value to me over items 1, 2, and 3 combined. When I was listed on previous LassoSoft sites, I got about a half-dozen qualified leads and referrals for Lasso-specific work per year. But when it disappeared those referrals dried up. Not sure what the point of the licenses would be. Why would you own a license that cannot be used for commercial work when you could just use an evaluation license?